1967 – Vice principal comes over to look at Jack’s shotgun. He goes to his car and gets his shotgun to show Jack. 2007 – School goes into lock down, and FBI is called. Jack is hauled off to jail and never sees his truck or gun again. Counselors called in for traumatized students and teachers. 1967 – Crowd gathers. Mark wins. Johnny and Mark shake hands and end up best friends. 2007 – Police called. SWAT team arrives. Johnny and Mark are arrested and charged with assault. Both are expelled even though Johnny started it. Scenario: Jeffrey won’t be still in class, disrupts other students. 1967 – Jeffrey sent to office and given a good paddling by the principal. He returns to class, sits still, and does not disrupt class again. 2007 – Jeffrey is diagnosed with ADD and given huge doses of Ritalin; becomes a zombie. School gets extra money from state because Jeffrey has a learning disability. Scenario: Billy breaks a window in his neighbor’s car and his Dad gives him a whipping with his belt. 1967 – Billy is more careful next time, grows up normal, goes to college, and becomes a successful businessman. 2007 – Billy’s dad is arrested for child abuse. Billy is placed in foster care and joins a gang. State psychologist convinces Billy’s sister that she remembers being abused herself, and their dad goes to prison. Billy’s mom has affair with psychologist. Scenario: Mark gets a headache and takes some aspirin to school. 1967 – Mark shares aspirin with principal out on the smoking dock. 2007 – Police called. Mark is expelled from school for drug violations. Car is searched for drugs and weapons. 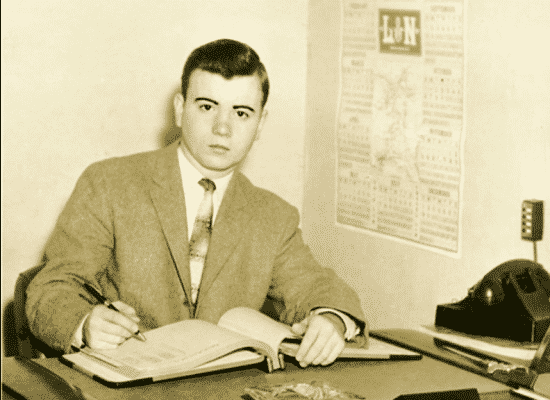 1967 – Pedro goes to summer school, passes English, goes to college, and graduates. 2007 – Pedro’s cause is taken up by state. Newspaper articles appear nationally explaining that teaching English as a requirement for graduation is racist. ACLU files class action lawsuit against state school system and Pedro’s English teacher. English banned from core curriculum. Pedro is given a diploma anyway but ends up mowing lawns for a living because he cannot speak English. Scenario: Johnny takes apart leftover firecrackers from 4th of July, puts them in a model airplane paint bottle, and blows up a red ant bed. 2007 – Bureau of Alcohol, Tobacco and Firearms, Homeland Security, and FBI called. Johnny is charged with domestic terrorism. The FBI investigates parents; siblings are removed from home; computers confiscated. Johnny’s dad goes on a terror watch list and is never allowed to fly again. Scenario: Johnny falls while running during recess and scrapes his knee. He is found crying by his teacher, Heather. Heather hugs him to comfort him. 1967 – In a short time, Johnny feels better and goes on playing. 2007 – Heather is accused of being a sexual predator and loses her job. She faces three years in state prison. Johnny undergoes five years of therapy.